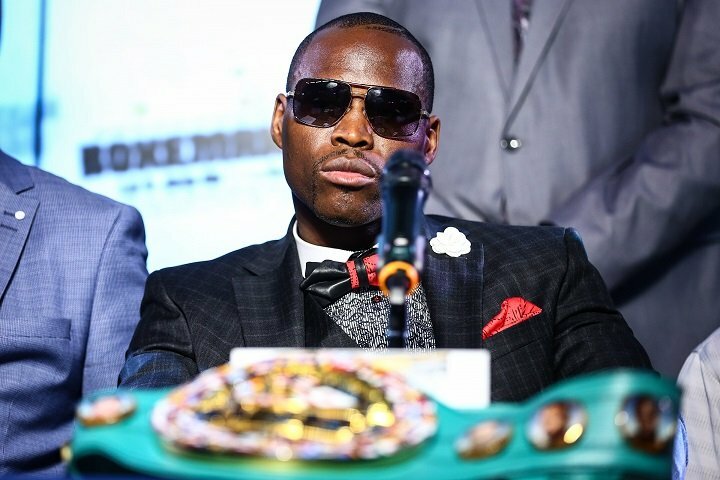 WBC light-heavyweight king Adonis Stevenson has upcoming business to attend to against challenger Badou Jack – who “Superman” will meet on May 19 – but the long-reigning champion has an eye on his possible future. The power-punching southpaw told Sky Sports how he would love the opportunity to fight in the UK – against Tony Bellew; the man Stevenson KO’d inside six largely one-sided rounds back in 2013. Stevenson, 29-1(24) says he would readily meet Bellew again, at a catch-weight this time, and he would like the fight to take place on the under-card of the monstrously big Anthony Joshua-Deontay Wilder card – which Stevenson believes will take place, and in the UK. Bellew, currently arguing with his wife and attempting to persuade her to allow him to fight again, is a proud man and he did state after his rematch with over David Haye how it would “take something really big to get me to fight again.” Bellew did call out Andre Ward but that fight seems unlikely. Might Bellew like the idea of trying to gain revenge over the only man to have ever KO’d him? It’s unclear how high up in weight Stevenson would be willing, or able, to go in order to accommodate Bellew in a catch-weight fight, but as the WBC ruler says, the rematch would be exciting if it happened. Bellew just might be tempted to stick around for one more big fight. Who wins the rematch if Stevenson and Bellew do fight again at, say, 200 pounds?